Ariana Steele, the co-founder of Black Queer & Intersectional Columbus, is offering an alternative to the annual Stonewall Columbus Pride festival and parade which draws hundreds of thousands of LGBTQ people and their supporters Downtown. Steele’s group is planning its own event, Columbus Community Pride, on June 16 — the same day as Stonewall’s parade. The move to create a separate Pride event, which will take place at Mayme Moore Park in the King-Lincoln neighborhood, was prompted by a series of events last year that Steele said illustrated Stonewall Columbus’ inability to accommodate marginalized groups within the LGBTQ community. Last summer, four protesters — two of whom regularly attended meetings of Steele’s group — were arrested after interrupting the Stonewall Columbus Pride parade. Steele said the four were protesting the lack of intersectionality — a term used to describe accommodating multiple identities within a movement — as well as the “overwhelming” volume of police at Stonewall Columbus Pride. Three of the protesters were sentenced in March to community service and probation. A fourth protester was accused of reaching for an officer’s gun during the incident. That case is still pending. Steele and BQIC co-founder Dkeama Alexis began thinking about changes after the arrests. They organized protests in support of the #BlackPride4 and began planning what they call a more-inclusive Pride festival. 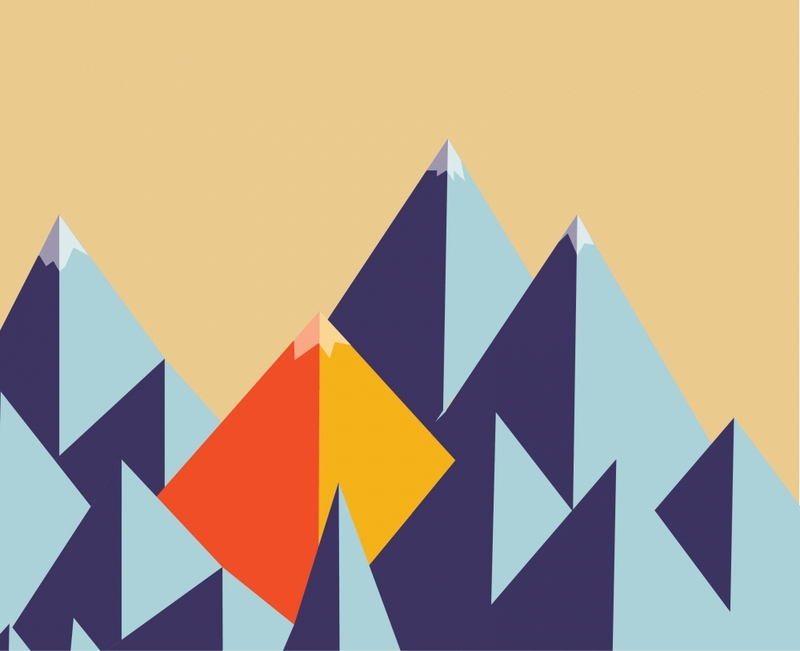 Columbus Community Pride kicks off June 2 with a dance party at The Summit, 2210 Summit St., and will be followed by a series of educational events leading up to the June 16 festival. Through fundraising, all events will be free to the public. BQIC hired a black, trans-owned security company to monitor the festival. There will be about eight security guards, and they will be armed, Steele said. Unlike Stonewall Columbus, Columbus Community Pride organizers say they will not accept corporate sponsors. Stonewall Columbus officials say the the scope of the annual Pride festival requires a police presence. The annual festival attracts 500,000 to 700,000 people, so security is not only a city requirement but necessary for protection, said Stonewall Columbus Pride coordinator Sabrina Boykin. “While I completely understand and respect (BQIC’s) perspective, we still have a need to make sure that the very credible threats we are given every year … are not threats that are carried out,” she said. Stonewall Columbus was required by the court to testify “involuntarily” during the #BlackPride4 trial and sent a letter requesting leniency in sentencing and no jail time, said Stonewall Columbus Interim Director Deb Steele. Deb Steele — no relation to Ariana Steele — said Stonewall Columbus is “very much” in support of BQIC’s event and message. But, Boykin said, the growth of the Stonewall Columbus Pride event and having corporate sponsors aren’t necessarily a bad thing. Originally published by The Columbus Dispatch on June 1, 2018. If Utkarsha Mahadeshwar followed suit of the rest of the girls from her slum community of Dharavi, she would’ve been married by age 13 and had a baby by now. Instead, the 16-year-old is about to start junior college at Ruparel College, one of the top universities in Mumbai. People in Utkarsha’s family had written her off because of her poverty and gender. Utkarsha’s relatives did not speak to her family because they were so poor in comparison to the rest of her family. Utkarsha found her saving grace in Magic Bus, which provided her the hope to one day break out of poverty. Many girls in Dharavi drop out of school after getting married, or if they go to school, they do not continue past 10th grade. Not only has Utkarsha flourished in school, but she plans to pursue a Master’s in Business Administration. In her spare time, she tutors her neighbors and helps her 12-year-old brother with his studies. Utkarsha’s education has been fostered through Magic Bus, and her parents are forever grateful. Her mother was a high school dropout, and her father did not pass the 12th grade. He now works in a small restaurant. Her outstanding performance on the 10th grade exam made everyone sit up and take notice. She was invited to the United States last year for a program funded by the U.S. State Department because of her leadership skills and academic success. “That was the proudest moment of my entire life,” Pramila said. 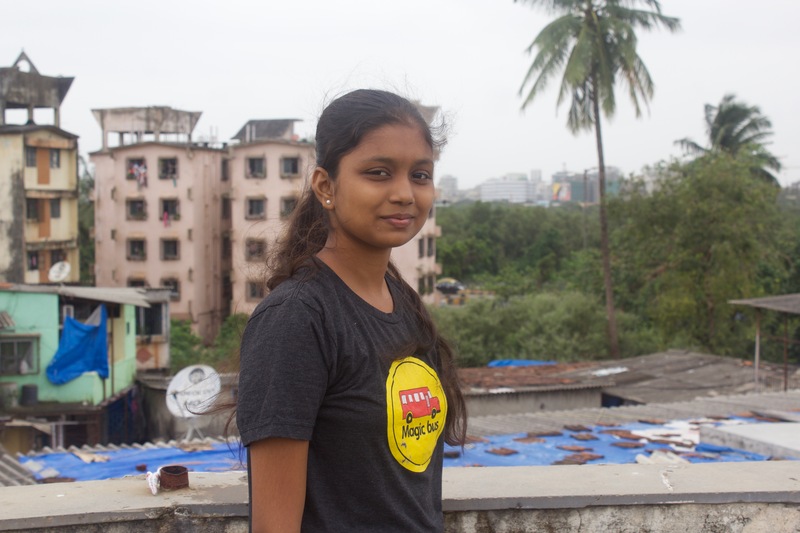 Word of Utkarsha’s high test score and her trip to the United States travelled quickly through the Dharavi community, and soonafter, Utkarsha was paid an unexpected visit. Since the visit, Utkarsha has kept in close contact with her uncle, who is mentoring her while she prepares for junior college. Utkarsha was recently selected to be a Magic Bus Community Youth Leader in Dharavi. She is now excited to begin running Magic Bus sessions for children just like her and making a change within her community. Utkarsha is one simple story of change within Magic Bus participants. She is one of nearly half a million children in India in Magic Bus programs who is working toward her dreams of continue her education and breaking out of the poverty cycle. Just 80 miles south of Athens, a veteran who suffered a stroke was riding horseback, led by Ohio University students. His wife, watching her husband ride from afar, hadn’t heard his voice in two years. He had been riding at OU Southern’s horse park for several sessions, and he began to burst into song. Everyone stared in disbelief as a man who hadn’t spoken a word in years began to sing. That is just one of the miracles that happens every day at OU Southern’s horse park, said Kelly Hall, the director of the equine studies program. OU Southern Campus’s equine program is one of five accredited international schools to certify instructors in therapeutic riding, attracting dozens of students to enroll in hopes of pursuing a career that could change someone’s life. Only two full-time faculty members staff the program, leaving the rest of the work up to students and volunteers to keep the rates for riding low. OU Southern charges $45 for a private community riding lesson and $35 for private therapeutic lessons. OU’s Southern Campus offers an equine studies program that certifies instructors in therapeutic riding. Dozens of students have enrolled in the program. To earn their associate degrees, students are required to participate in 25 hours of instruction with a minimum of two riders with disabilities at a time. 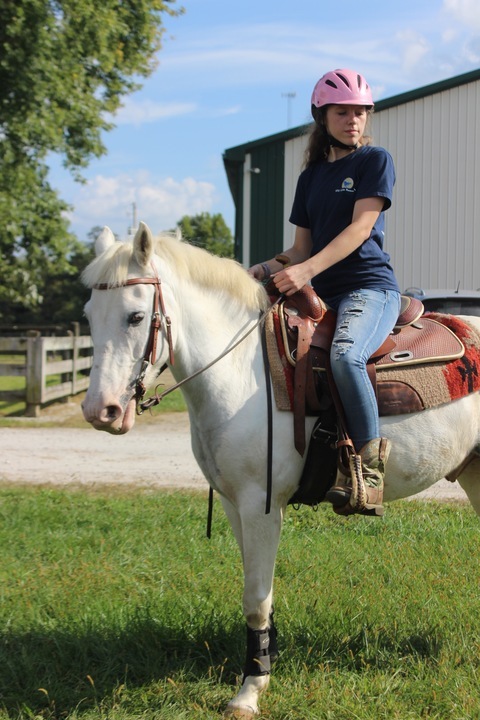 “The community therapeutic horsemanship center serves the purpose of allowing our students to earn their hours, but it also serves the tri-state community for people with challenges,” Hall said. Unlike many other equine programs, OU Southern has its own horse park and barns for convenience of completing lab hours and maintaining control over curriculum, attracting students from places as far as Hawaii to participate in the therapeutic riding program. Students also teach, care for the horses and assume other responsibilities alongside volunteers and part-time employees. Horseback riding provides many benefits for people with physical disabilities. Riding develops a sense of coordination and balance and strengthens the same muscles used to walk, which can be especially useful for someone in a wheelchair. Glebins said she was touched when she was serving as a volunteer last year and saw significant progress in a boy she was assisting. 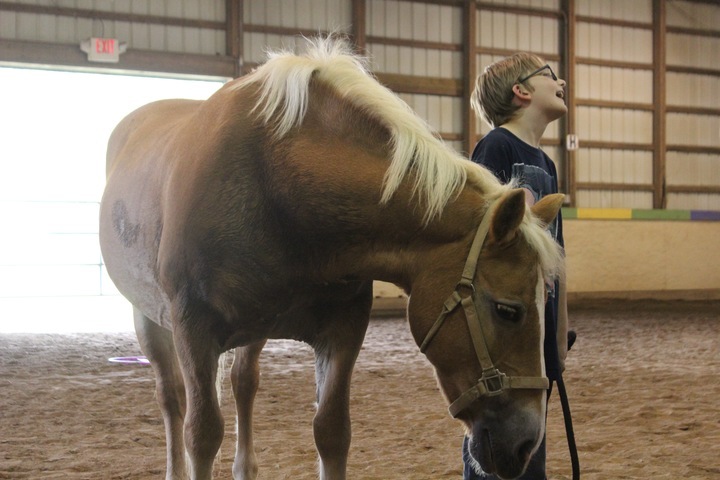 The benefits of therapeutic riding go beyond what can be seen on the surface. Hall said emotional and mental therapy is a lot of what the program tries to provide through its lessons. The park works with agencies for weekly lessons and has served foster care industries, regional mental health industries and more. “It benefits them to learn a different or better way of living,” said Tabatha McKinney, who works at STAR Community Justice Center. STAR serves as an alternative to prison with the intent of rehabilitating nonviolent felony offenders and frequently works with the horse park. Students teach and care for the horses, among other responsibilities. The program attracts students from places as far away as Hawaii. OU Southern is partnered with Safe Harbor, a domestic violence shelter in northern Kentucky. The two secured a grant to bring children to the park weekly for riding lessons. Hall said OU Southern tailors programs to specific needs. In the case of Safe Harbor, a main goal is teaching kids to positively identify and cope with emotions. Horses have unique personalities just like humans, Hall said. People might be drawn to a particular horse and learn a lot about their feelings from interacting with the animal. Since OU Southern’s equine program began offering online courses in spring 2016, adjunct professor Mark Abell said he has seen an increase in enrollment. He said this semester he has his largest class size of 26 people in introduction to equine studies, with students from the Athens campus and high school students enrolling. Online classes, which are heavy on economics and technology, focus on the commercial side of the horse industry, Hall said. She said the staff rewrote the entire curriculum to accommodate online courses. Many students are interested in starting nonprofits related to horses, so Hall said the program created online courses on equine nonprofit development and management. Hall said they are also adding a degree to the eCampus. There will be a soft launch in January and a full launch in fall 2018. Abell said he was excited for the program to grow and continue to flourish because of all the good he sees come out of it every day. Originally published for The Post on Sept. 28, 2017. Appeared in print Sept. 28, 2017. 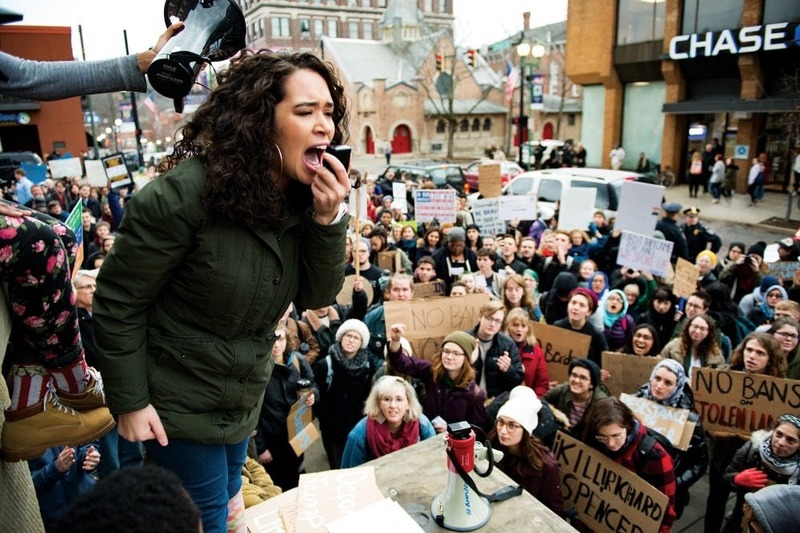 Some state representatives are arguing that Ohio University — or any public college in Ohio — shall make no law prohibiting the freedom of speech. 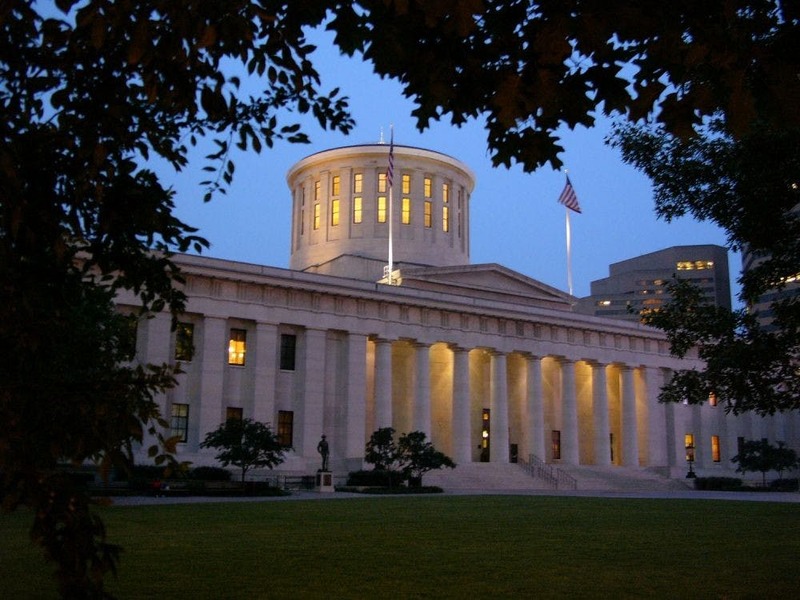 State Reps. Andrew Brenner (R-Powell) and Wesley Goodman (R-Cardington) are introducing a bill to the Ohio House of Representatives reaffirming First Amendment rights on college campuses. Brenner said the Free Speech Act aims to ensure public universities in Ohio are compliant with the First Amendment. That includes an elimination of “free speech zones” that are present on many college campuses. The entire campus should be a free speech zone, Brenner said. Under the Free Speech Act, policies such as OU’s recent ban on protesting in university buildingswould not be able to exist. “Public universities that are getting large amounts of taxpayers’ money, their policies and conducts of laws should be consistent with the First Amendment,” Goodman said. Goodman emphasized the need for an exchange of ideas at the collegiate level. OU has faced the debate around free speech on campus in recent years. Last fall, the university hosted a campus conversation addressing the drawing of a hanged figure on the graffiti wall, which is at the intersection of Mulberry Street and Richland Avenue. The event sparked a debate about what constitutes hate speech and free speech. The line between hate speech and First Amendment freedoms is not quite so clear cut. Sarah Wooldridge, a sophomore studying middle childhood education, said she thinks the bill is not a good idea in some situations. Brenner stressed that the proposed bill does not tolerate speech that portrays a clear and present danger, which has been rhetoric ruled upon the U.S. Supreme Court in reference to free speech. Goodman said the two would likely introduce the bill to the Ohio House of Representatives in the next few weeks, and they hope to pass it through the Ohio House, Senate and governor’s office by next spring. Originally published for The Post on Sept. 12, 2017. Athens teen Emmalyn Brown was only 9 years old when her liver suddenly failed. Had it not been for the generosity of a donor, she would’ve died in three days. Since her transplant, Brown, now 19, has been actively campaigning for increased awareness and registration of organ donors in Ohio. As part of a project her junior year at Athens High School, Brown reached out to former State Rep. Debbie Phillips to begin work on new legislation that would require schools to teach about the positive effects of organ donation. Brown worked closely with Phillips and Lifeline of Ohio, an organization she volunteered with, to give input on the proposed legislation. After almost four years, Brown is excited to finally see the bill become law. The legislation requires that every Ohio public school educates students on the positive effects of organ donation. It was an amendment added to House Bill 438, which outlines public school appreciation week. The law allows for schools to instruct on organ donation in whatever way is convenient to them, Patterson said, which is typically in a health class. A 2010 study found 90 percent of Ohioans reported being in favor of organ and tissue donation, but only 54 percent of eligible citizens are actually registered in the Ohio Donor Registry. Greg Haylett, a fifth-year senior studying biological science, said he wished a similar program was in place when he was in high school. Brown said she hopes this legislation debunks myths and stigmas associated with organ donation and ultimately increases organ donation registration. Originally published for The Post on Sept. 8, 2017. As the sun set on a cold February afternoon, 100 people gathered on and near Templeton-Blackburn Alumni Memorial Auditorium’s portico to speak out against rumors of a “resurgence” of the Ku Klux Klan in southeast Ohio. Several speakers shared their stories to celebrate diversity in Athens and the surrounding region, one historically thought of as almost exclusively white. With an introspective rally as the backdrop, attendees wanted to prove an important point: Black lives matter, even in Appalachia. Black people, who make up fewer than 5 percent of Athens County’s population and 9.1 percent of the Appalachian population, have long been overlooked in an impoverished region that is overwhelmingly white. Frank X Walker, a professor of English and African-American studies at the University of Kentucky, invented the word ‘Affrilachia’ in 1991 in response to the marginalization of black people in the region. He penned the word in a poem as a way to explain the “invisibleness” of Affrilachians. White people make up 83.6 percent of the people in Appalachia in comparison to the national white population of 63.7 percent, according to 2010 U.S. Census data. That lack of visibility creates a stigma against black people in Appalachia, Otis Trotter, the author of Keeping Heart: A Memoir of Family Struggle, Race, and Medicine, said. He spent a majority of his childhood in West Virginia before moving to Newcomerstown, Ohio in the ’60s, where he was subject to criticism because of his Appalachian and black roots. Ohio’s de facto segregation was more subtle at that time than the blatant racism in the Deep South, Adams said. A more glaring and obvious form of racial discrimination were so-called “Sundown Towns,” or communities that kept out black people by law. The term was coined because the towns would sometimes have signs by their city limits stating black people must be gone by sundown. Some of those areas remain very white to this day, according to James W. Loewen’s book Sundown Towns. 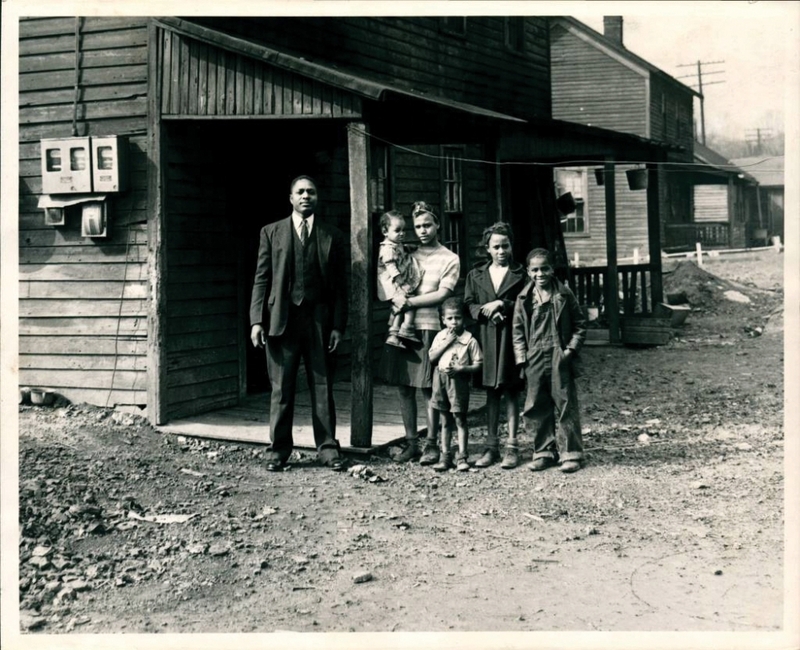 Many black people migrated from the South to Appalachia to find work in the coal mining industry, as the Deep South lacked decent paying jobs for black workers. Trotter said his family moved from Alabama to West Virginia for that reason. A notorious integrated coal mining town was Rendville, located in Perry County. It was established by the Ohio Coal Mining Company in 1879, made up by primarily German immigrants and black families. 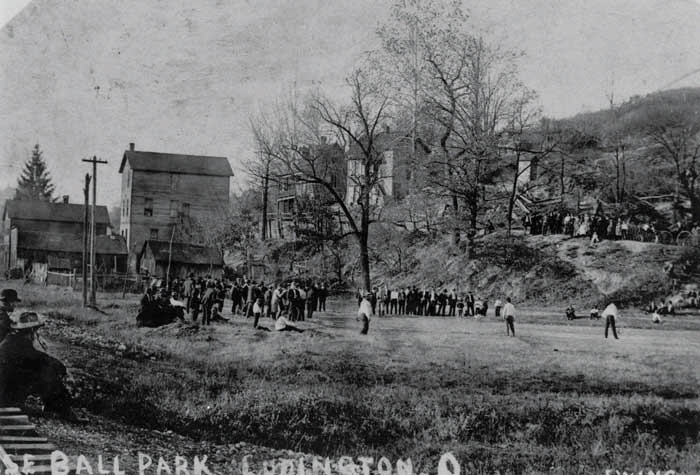 Despite initial racial tensions, the town functioned much better than other integrated communities in Appalachia with a mixed race village council, Cheryl Blosser, office coordinator for The Little Cities of Black Diamonds, said. The Little Cities of Black Diamonds is a nonprofit organization dedicated to preserving the history of coal mining regions. (Provided via Eberly Family Special Collections Library, Penn State University Libraries) Major Fountain and children, Rendville, Ohio Perry County Ohio 1946. Though OU was relatively progressive during times of de facto segregation, problematic policies were still in place. John Newton Templeton, a freed slave who earned his bachelor’s degree from OU in 1828, was the fourth black college graduate in the nation and first in the Midwest. Templeton-Blackburn Alumni Memorial Auditorium on College Green is named for Templeton and Martha Blackburn, the first black woman to graduate from OU in 1916. “It is nice that OU educated (Templeton). However, there are some stains on that,” Bailey Williams, a freshman in the Templeton Scholars Program, said. Templeton could not live in university housing with other students, so he lived in the log cabin near the Hocking River that now houses the Office of Sustainability and the Visitor Parking Registration Center. More than 100 years later, Adams faced similar discrimination. Adams, who began her freshman year in 1957, said she could not join social sororities or fraternities during her time on campus because of the color of her skin. She also could not complete her student teaching in Athens County because OU had an agreement with local schools that they would not send black teachers to instruct students. Though incidents like the painting of a hanged figure on the graffiti wall in September have left a sour taste in Williams’ mouth, he said overall, he has not experienced discrimination because of the color of his skin. Appalachians have made significant strides, Trotter said, but negative stereotypes surrounding those who identify as both black and Appalachian still exist. The key to true integration of the region is to understand the differences among the population, Trotter said. Originally published in The Post on the front page on April 6, 2017.